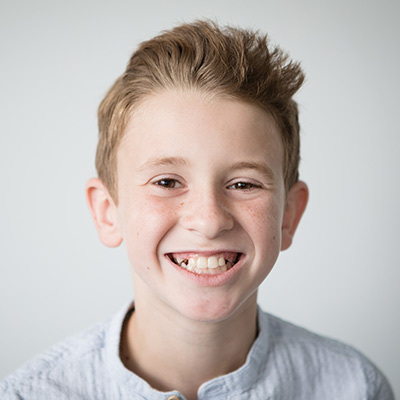 Dr. Zach recommends an initial screening appointment around the age of 7 to 8 years old. This does not mean your child needs treatment at this age, but it is simply a great time to check on his or her growth and developement to get a baseline for any future problems. By this age, most children have a mix of baby teeth and adult teeth, and future orthodontic needs can be evaluated. Early Orthodontic Treatment (also known as Phase 1 or Early Braces) is typically done in cases where there are jaw growth issues or teeth are not coming in on schedule, and waiting until teenage years is not recommended. It is done at an earlier age (7- to 10-year-olds) as a supplement to future orthodontic treatment. What if my child doesn’t need early treatment? That’s great news! That means your son or daughter is like the majority of the kids in our office, and we will simply monitor growth until your youngster may be ready for treatment. Growth check appointments are complimentary, and they are important to ensure your child’s teeth are growing on time and in the correct place so that orthodontic treatment can be started at the right time.